What’s It Really Like to Live in Texas? Before we get into how and why Texas is such a beautiful place, let me express to you what it’s like to live in the Lone Star State. I was born and raised in a small town called Brownwood in Texas. Typically, the only two things people would know about Brownwood when I told them where I was from was: the BBQ, the Rodeo, and our high school football team, The Lions, who dominated state finals in the 1960’s and ’70’s. So it would seem that what most people who aren’t from Texas assume about Texans – that we all love barbecue, riding bulls, and football – is true. However, the beautiful thing about the Lone Star State is that it’s so large (over 250,000 square miles) that you can drive eight hours and still be in the same state, yet feel like you’re in a different one. Thusly, certain stereotypes about Texas and the people who inhabit the state aren’t resoundingly true. The state’s size makes it extremely diverse. East Texas is filled with pine tree forests, which surprises anyone who isn’t familiar with our state. In fact, for many, Texas is just large, flat land, maybe even just desert. This vision of Texas is only true for west Texas, however, places like El Paso and the artsy oddity that is Marfa. We even have the Hill Country near Austin, Texas which consists of wineries, horse farms, and orchards. Forests, deserts, and rolling hills only form a complete list of all the geography offered when you add the coastline of the Gulf. With the differing geographies come different types of people, preferred pastimes, and lifestyles. When I became older I moved from Brownwood, Texas to Austin and although the two aren’t more than two hours apart from each other, they couldn’t have been more different. I stayed in Austin for over nine years and learning about the city and Austinites are a lot of the reason why I am so proud to be from Texas. I never visited every town or city in Texas, but I lived in two that are so radically different from one another that they both perfectly express all the state has to offer – from fishing in Brownwood Lake on a hot, humid July evening to literally howling at the moon at Bartin Springs Pool in Austin, Texas has so much to offer its citizens and visitors alike. Mexican restaurants are delicious, cheap, and authentic. Never worry about craving enchiladas and not being able to sate your appetite. Plus, every Tex-Mex place offers unlimited, complimentary chips and salsa. Dip, crunch, and savor to your heart’s desire. On the subject of food, we’d be remiss to not mention that it isn’t just the Tex-Mex that’s spectacular – enjoy classic, soulful southern dishes at any and every diner. 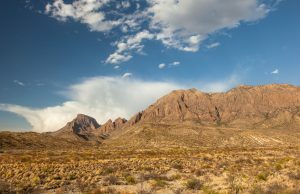 Meeting someone who knows how to lasso and survive off the land is more likely than some other states, which will be good if you ever get lost while camping in Big Bend National Park or lose a few livestock. The hardworking men and women of the cattle ranching business are alive and well, making it easier for you to get away with wearing an awesome ten-gallon hat or cowboy boots without any funny looks. Chances are you know someone with a pickup truck. Moving out of your apartment just got a whole lot easier and a whole lot cheaper. Buy that co-worker or college buddy a round of Lonestars and they’ll come around to helping you relocate faster than you can say “Biscuits ‘n’ gravy! You never have to worry about being snowed in. Shot taken with a Singh-Ray warming polarizer filter and 2-stop graduated neutral density filter. Chances are relatively high it could be a high of 75 degrees and sunny on Christmas eve (perfect for solar!). If it does snow, it won’t last long, making your winter activities more likely to include being poolside and soaking up the sun. But, seriously, no snow boots or snow shovels needed. The state has its own genre of country music. Texas Country is a large and renowned genre in the U.S. and the world. Hear your state represented on the country radio stations across the nation and your Texan-heart will swell with pride. Just try not to cry when you hear “Luchenbach, Texas” or “Amarillo by Morning”. We have the best sunsets and sunrises. Solar panels Texas (this is a big reason – the sun!) 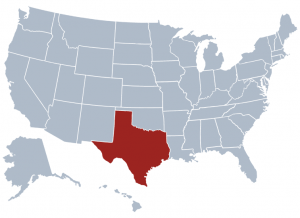 Most of Texas is relatively flat, meaning your view is unobstructed by towering buildings or too many pesky trees. The sky lights up a dark, black horizon with visions of orange, blush, and purple – you’ll be awed and humbled by the beauty. All of your neighbors are just as stoked to be in Texas as you are. The most obvious perk of living in Texas is that everyone else is happy to be there, too. A fact that generally leave most people friendlier and happier to be alive and well. For many Texans, it really is just the simple things in life. A value bred into us at an early age and an outlook we’re always willing to share, especially if it’s over a plate of BBQ and baked beans.